buzZer Post a comment ? OUTI, a realtime tool for live loops reording and manipulation, is now available in version 1.31. The new version fixes bugs and introduces a manual sync option. It also includes a manual in English. 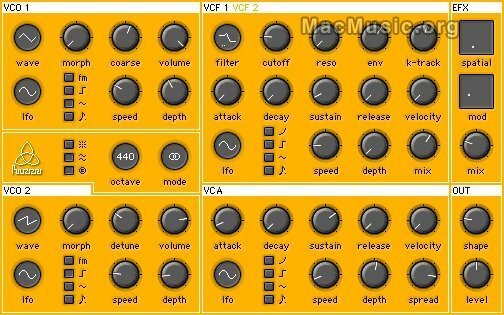 OUTI is a freeware so help yourselves. tiny software Post a comment ? 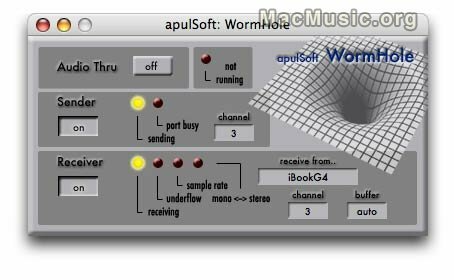 WormHole 1.1 by Apulsoft is an Audio Unit that can transmit audio via TCP/IP between applications or to send audio between multiple computers. 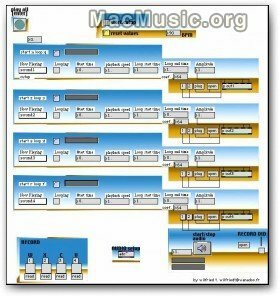 The new version 1.1 is AudioUnit and VST Mac OS X compatible and works with Ethernet, Firewire or Airport / Wi-Fi. A demo version of WormHole 1.1 is available on dowload and the full version costs 25 euros. WormHole 1.1 Post a comment ? 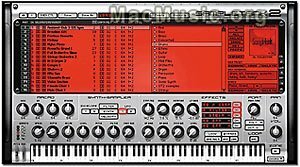 Akai has (finally) announced the OS X version of ak.sys. 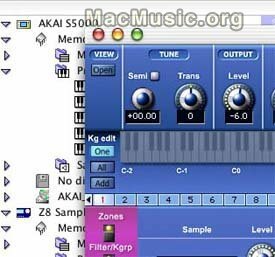 ak.Sys for OSX allows you to completely control your Akai Z4/8 or MPC4000 from any OS X Mac computer via USB. Even the S5/6000 are supported in this new release. More informations and screenshots on the Akai website.